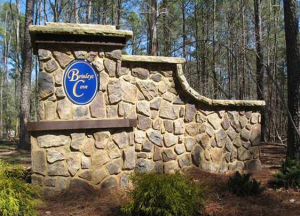 The highly sophisticated residential neighborhood of Brinleys Cove in North Raleigh, North Carolina is one of the latest projects to be completed in the region. This small community is characterized by the vast lands, very tall and indigenous trees, the lake front and some of the country’s most beautiful hills. The general population of Brinleys Cove is relatively low for a majority of people living within this community are small-sized families. Since there is plenty of land in the area, a majority of people have their own homes of which they themselves built. However, there has been an increase in the number of residential estates in the area some targeting the middle class and others the more wealthy personalities. Examples of housing available include luxurious apartments, town houses, maisonettes and condos. All these are available for rental as well as for sale. What makes the Brinleys Cove community highly unique is its highly distinctive modern architecture that has been adopted by a majority of homes and has come to be associated with the community. The education system in Brinleys Cove is highly acclaimed as it’s within this small community and its surrounding that you get to find the best schools in the entire North Carolina State. The learning institutions in this region include public and private schools as well as higher learning institutions. Examples of these include the Leesville School District, the North Raleigh Christian Academy, Great Wake County Elementary, Middle and High School and the Strayer University North Raleigh Campus. The Brinleys Cove region is highly interconnected with a state of the art road network that makes moving around the neighborhood and the surrounding towns and cities really fast and efficient. Moreover, the community is also a short distance away from the Raleigh-Durham International Airport. In addition to the transport and infrastructure, the community is as well served with several private and a public health center facility, pharmacies, clean and safe water from the community well as well as a very good sanitation and drainage system. All homes also have access to internet connectivity as well as electricity. The security in the area is also as good. In relation to the location of the Brinleys Cove, most of the attractions are natural such as the hills, forest and lake. Some of the fun activities that are a favorite of the residents include hiking, bicycling, going on nature trails, fishing and boating. The environment further creates a perfect location for carrying out landscape photography. Moreover, there are loads of fun activities that occasionally take place within the community especially at the park and also at the baseball pitch and pool. Brinleys Cove further has amazing fine restaurants that are ideal for someone in need of sampling different local and international cuisines. All kinds of shopping too, including shopping for groceries, the house and for your wardrobe is also excellent for its really easy for one to find some of the world’s most coveted goods at very affordable prices.